Householders are advised that from the 1st of April 2019 vehicle tyres will no longer be accepted for disposal at Highland Council Household Waste Recycling Centres. This week marks the conclusion of a Highland Council littering awareness campaign with Lochaber High School. The Highland Council’s Waste Aware team visited the school during February as part of the initiative funded by Zero Waste Scotland. The campaign aimed to help to reduce the amount of litter generated in both school grounds and in areas frequented by pupils at lunchtime. The Environment, Development and Infrastructure Committee has today agreed the Longman Landfill site in Inverness as the preferred location to construct a new centralised waste management facility. ​​​​​​​Don’t let the grass grow under your feet – order your 2018/19 garden waste permit by 3rd June. Highland Council Garden Waste Permits are now available to order for the 2018/19 Permit Season. The Highland Council would like to remind householders to only put clean and dry items into blue recycling bins. Cleaner recycling means less waste, less landfill and therefore more value. The Council is continuing to do all it can to support employees who lost their jobs following the change in contract for the processing of recycled waste. Highland Council residents are being asked to remember to recycle as much waste as possible over the festive period. A new approach to dealing with trade waste in Inverness city centre has received approval from the Highland Council’s City of Inverness Area Committee. 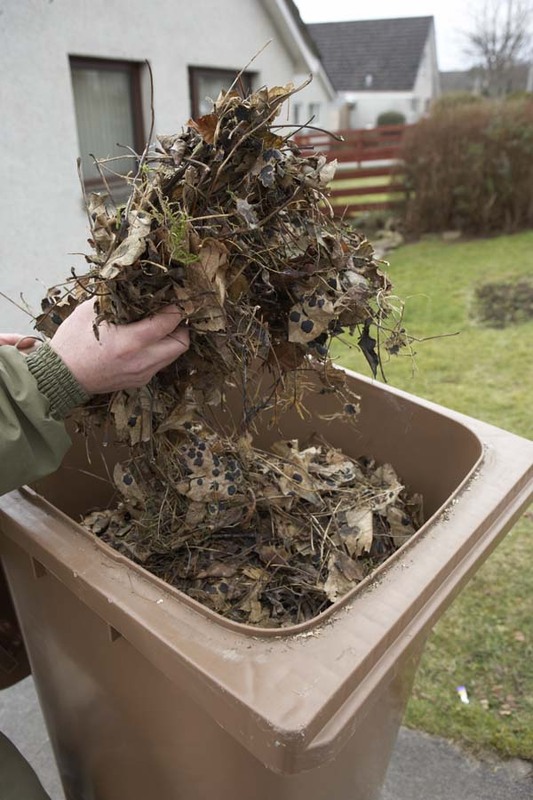 The Highland Council’s chargeable garden waste brown bin collection service started on 3rd July 2017 and to date approximately 32,000 garden waste brown bin permits have been purchased. This accounts for 48% of households that previously received the Garden Waste Collection Service. 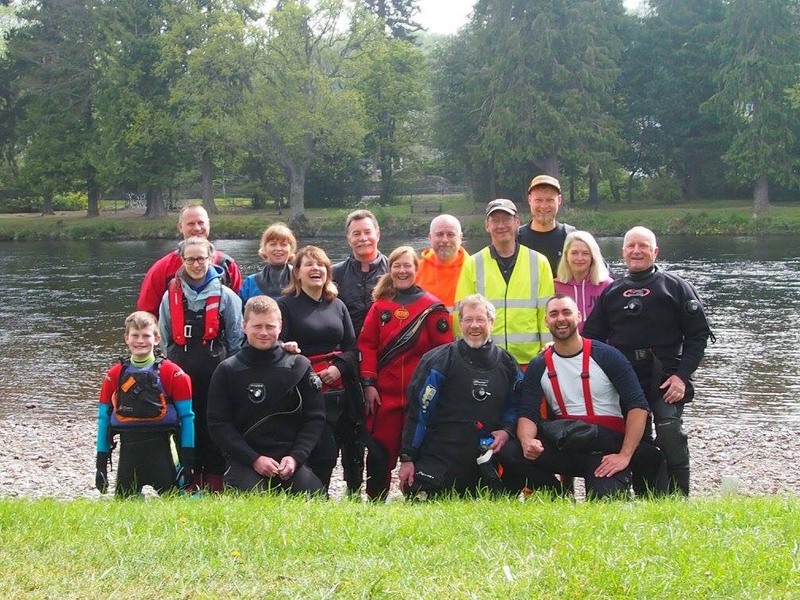 Members of Inverness Sub Aqua Club (ISAC) on Saturday (13 May 2017) helped The Highland Council’s Community Services clean up the River Ness. From the 3rd July, 2017 The Highland Council is to introduce a charge for the collection of garden waste in brown bins. At a Special Meeting of The Highland Council on 16th February 2017, the Council’s elected members agreed to introduce a £30 per annum charge to participating householders for the collection of garden waste in brown bins to generate an estimated £660,000 to help meet the Council’s £20 million funding gap. Give Your Litter a Lift – Take it Home! Environmental charity Keep Scotland Beautiful has launched an ongoing campaign ‘Give your litter a lift, take it home’ to raise awareness of the impact of roadside litter, and help change the behaviour of those who throw litter from vehicles across Scotland. This week marks the conclusion of a Highland Council littering awareness campaign with Inverness’ 5 secondary schools and the University of the Highlands and Islands. The Recycling Centre at Seater Landfill Site will be closed to the public from Saturday 18th June 2016 to allow for the construction of landfill cells. New waste and recycling collection calendars for 2016-2018 are now available on The Highland Council’s website and at Service Points. From 1st April the fine for dog owners who fail to pick up after their dog will rise from £40 to £80 , bringing it into line with the fine for other types of littering. 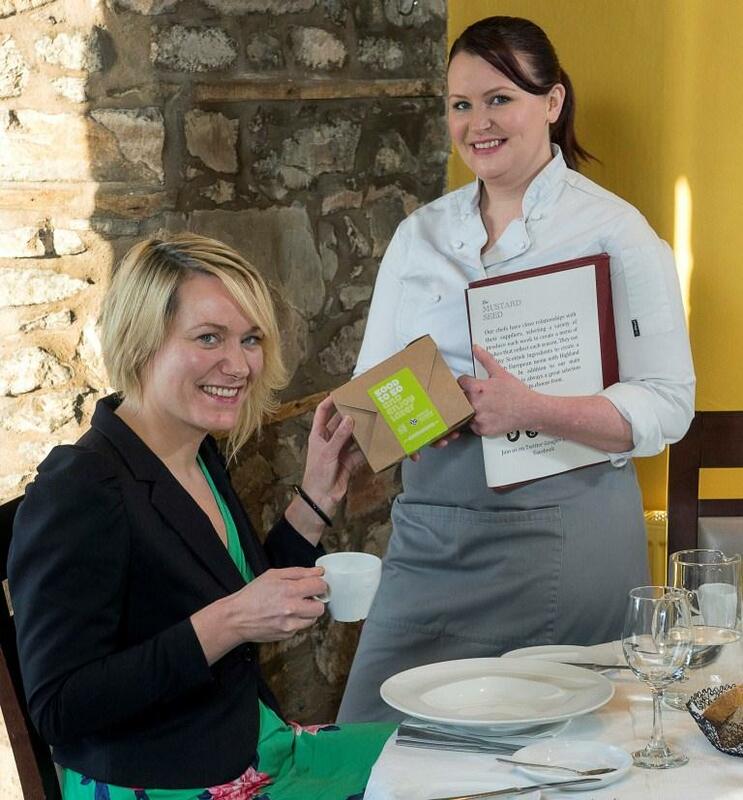 Diners in Inverness need no longer feel embarrassed to ask for a ‘doggy bag’ for the leftover food they’re not able to finish while dining out. With the introduction of new materials to the blue recycling bin in the summer, Highland Council residents are being encouraged to make full use of the improved service this festive period. As part of European Week for Waste Reduction (21 to 29 November), The Highland Council’s Waste Awareness Team have been out and about with their ‘Big Freeze’ campaign. With the approach of winter householders are reminded that Garden Waste Collections will cease for a period of 3 months from the end of November. The Highland Council’s new improved recycling service begins next week. The Highland Council is introducing further new materials to the blue bin recycling service at the end of August. 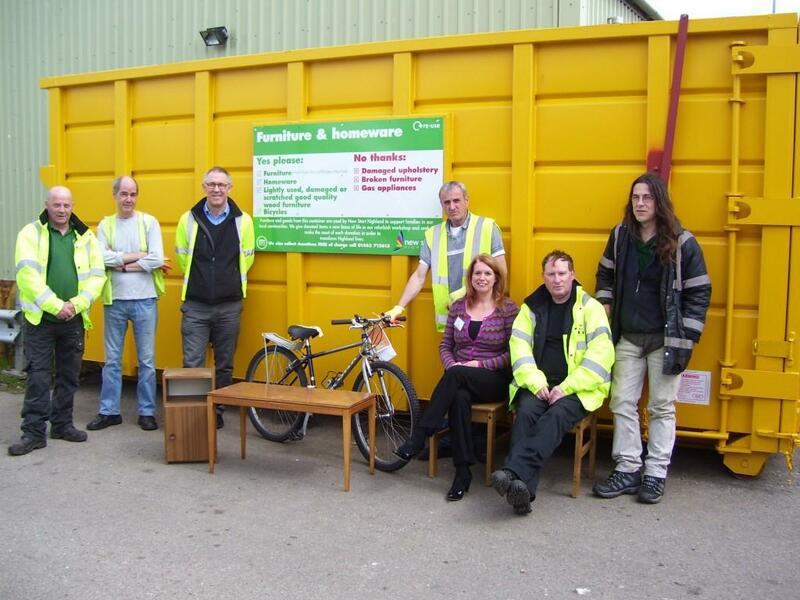 Tain is one of the latest communities to receive a reuse container at its Recycling Centre. The new facility, which is operated by Blythswood Care, will make it easier for residents to pass on unwanted household goods rather than send them to landfill. The container will accept furniture, kitchenware and bric a brac, textiles, toys, books, bicycles and sports equipment. Portree is one of the latest communities to receive a reuse container at its Recycling Centre. The new facility, which is operated by Blythswood Care, will make it easier for residents to pass on unwanted household goods rather than send them to landfill. The container will accept furniture, kitchenware and bric a brac, textiles, toys, books, bicycles and sports equipment. Pupils from Glenelg Primary School’s Primary 3 and 4 classes are celebrating completing the REPIC School Adventure Challenge - a creative story writing adventure put forward by Bury-based not-for-profit Waste Electrical and Electronic Equipment (WEEE) producer recycling scheme, REPIC. New Materials in Highland Blue Bins announced during Recycle Week! It’s National Recycle Week (22nd-28th June) and, tying in with this year’s theme ‘recycling around the home’, The Highland Council is pleased to announce that householders can now recycle more items in their blue recycling bins. Aerosols, cardboard-based food and drink cartons (e.g. TetraPak) and envelopes can be included immediately with more materials to follow later in the year. The Council’s waste and recycling team are praising householders for their cooperation in implementing new arrangements at Dingwall Recycling Centre which have been introduced to discourage the misuse of the site by commercial waste producers. Brora Recycling Centre now has a reuse container making it easier for residents in the area to pass on unwanted household goods rather than send them to landfill. From 18th May householders who wish to bring their waste to Dingwall recycling Centre in a van, pickup truck, sign written vehicle and/or a trailer will be required to complete a Household Waste Declaration form before visiting the site or face being turned away. On Saturday (18 April) around 35 local residents and volunteers turned out in stunning sunshine to help The Highland Council’s Countryside Rangers undertake the annual spring beach clean at Dunnet Bay, north Caithness. With the re-starting of The Highland Council garden waste collections at the beginning of March, tighter contamination monitoring has seen a substantial improvement in the quality of the collected material compared to last year. Psst….It’s Pass It On week! This week is Pass it on Week – a week in which people are being encouraged to think of ways that they can pass on to someone things they have finished with rather than throw them away; whether that is clothing, other textiles such as curtains, toys, books, furniture and other household good. Garden waste collections resume 2nd March but please check your bin! 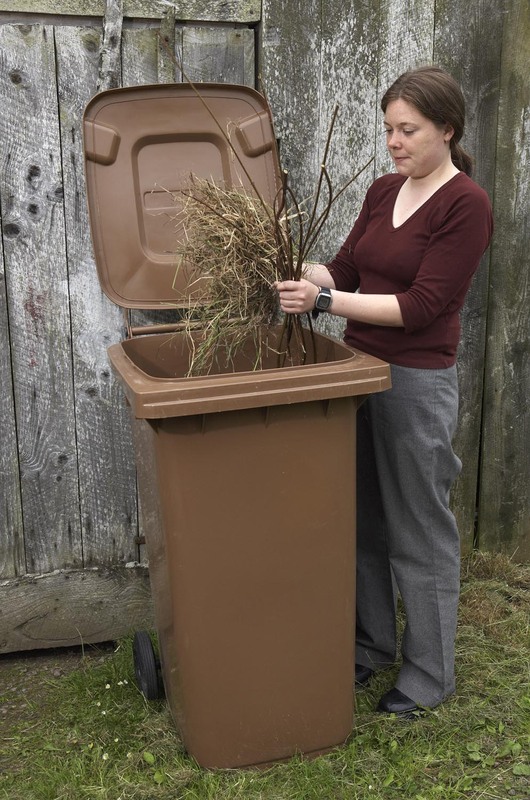 As garden waste bin collections resume on 2 March residents are being urged to check their brown bins carefully for any contamination before they put them out for their first collection. Re-use Is Best! Pass It On! Re-use Is Best! Pass It On! - That is the message for ‘Pass It On Week’ that this year takes place from 7th to 15th March. Residents in Easter Ross have a new temporary Community Warden working in their area and they are being encouraged to report any issues of fly tipping, noise or neighbour nuisance or gardens in bad condition that require investigation. Pick it Up – Even In The Dark! 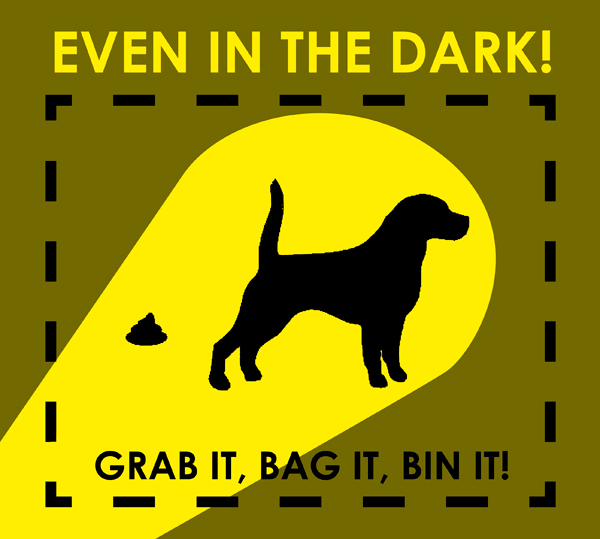 ‘Grab It, Bag It, Bin It – Even in The Dark!’ that is the latest message to dog owners from The Highland Council. Clean, dry and loose, that’s the simple message that The Highland Council is delivering to householders where it has been experiencing contamination issues with the blue recycling bins. People in Sutherland are invited to find out more about the range of Community Services provided in their local area. The Highland Council is calling on residents in the area to cook up a storm to tackle food waste this week, by having ‘Waste Free Lunches’ as part of European Week for Waste Reduction (22 to 30 November). As winter approaches householders are reminded that Garden Waste Collections will cease for a period of 3 months from the end of November. There will be no brown bin collections in December, January or February. The addition of new materials to the blue bin will be introduced next year and could save around £70,000. Seven more dates and venues have been confirmed by The Highland Council’s Community Services in a series of nine local events organised to help people find out more about the Service in their areas. The Highland Council recycling rate has reached 45% pushing it up to number 11 in the rankings of the 32 Scottish Local Authorities according to new figures released by SEPA (Scottish Environmental Protection Agency) for 2013. The Highland Council is advising people that the Recycling Centre in Kingussie will be temporarily closed on Saturday 4 and Sunday 5 October due to essential maintenance work to a nearby level crossing that Network Rail will be carrying out. The Highland Council and Contractor ISS have put in place measures to improve standards of grass cutting in public open spaces and cemeteries in the Highlands. 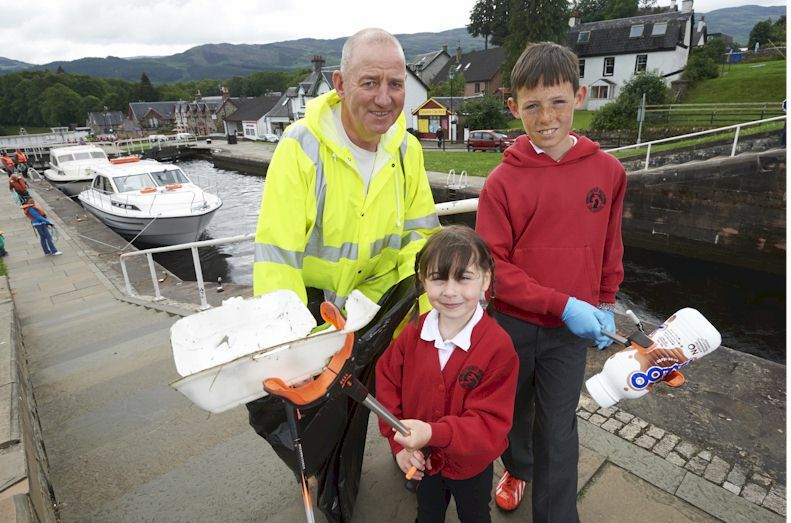 Last Friday was designated as the Litter Day of Action in Highland so the Council’s Enforcement Officers stepped up enforcement patrols in Inverness and Dingwall with the aim of tackling the problem of littering, fly tipping and dog fouling. A record-breaking 61 beaches have been recognised this year, including 12 beaches in Highland being awarded Seaside Awards. Highland schools, community groups and good causes, are being given the chance to win £1,000 worth of new electrical products. 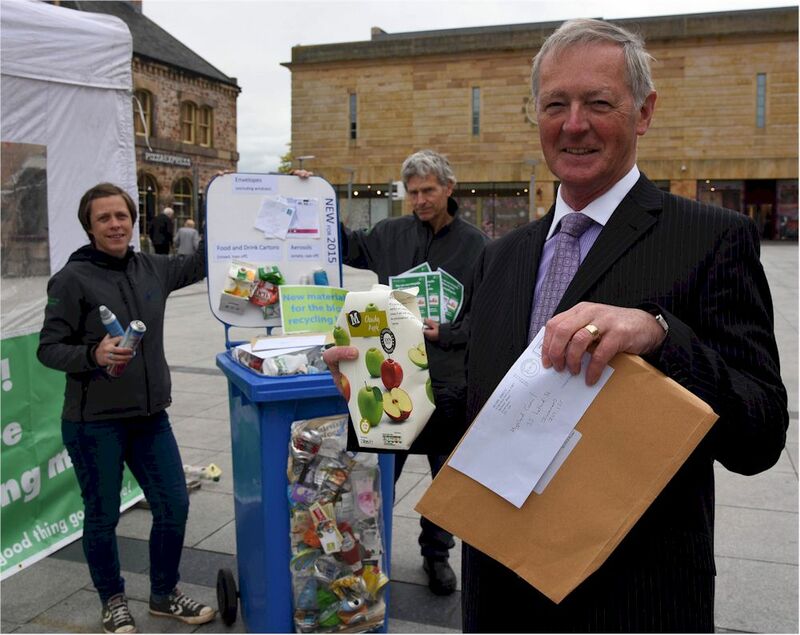 Inverness residents now have a new way to recycle as The Highland Council has placed four recycling nodes at key locations around the city, with more set to follow. As part of their eco-school activities pupils at Melvich Primary School in north Sutherland spent their last day of term today (Friday 4 April) taking part in a litter pick around their village. "Recycle Your Glass and Help the Environment! "- that is the message from children from all over Skye and Lochalsh. 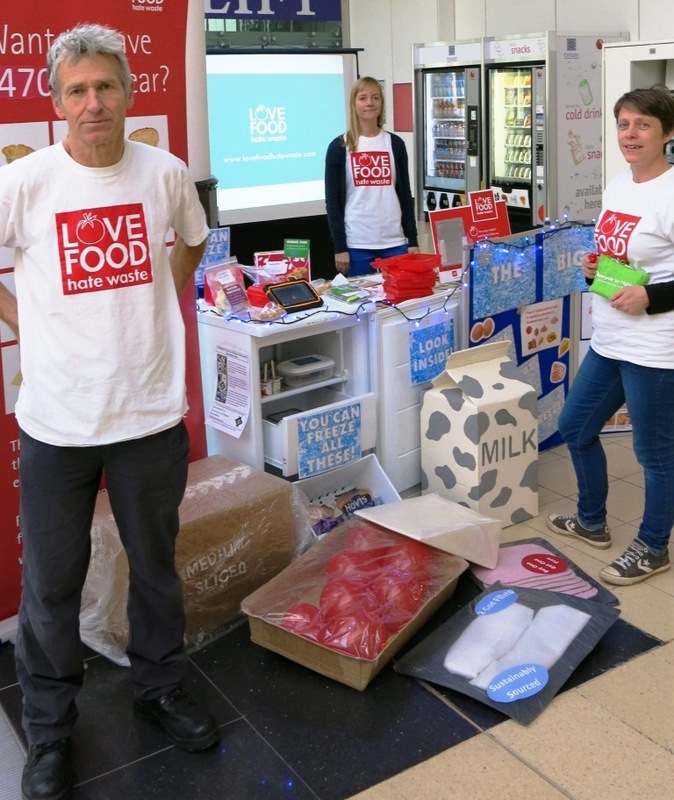 Message for dog owners – "Your Dog, Your Mess, Your £40 Fine!" Message for Lochaber dog owners – your dog, your mess, your £40 fine! Your Dog, Your Mess, Your £40 Fine is the clear and simple message on a new poster produced by The Highland Council aimed at irresponsible dog owners who allow their dogs to foul in public places. Dog wardens and enforcement officers have been identifying dog fouling ‘hotspots’ such the play park on Banavie Road, Fort William and these areas are to be patrolled and enforcement action taken if owners fail to pick up after their dogs. Our brown bin garden waste collections have resumed. Keep Scotland Beautiful is asking you to stop dropping litter and to start picking up after your dogs.